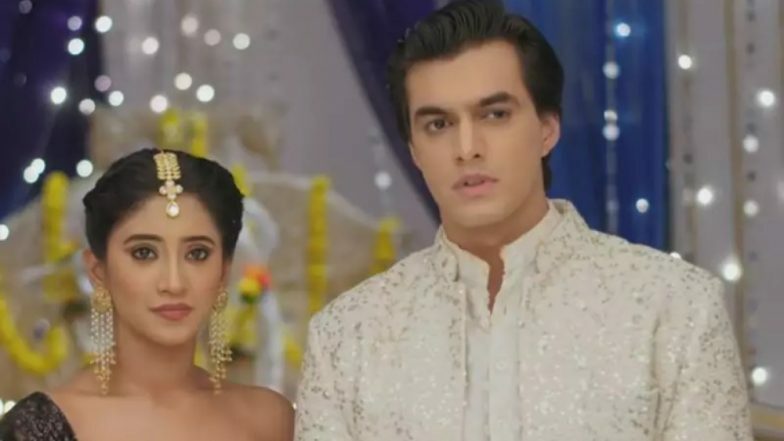 Yeh Rishta Kya Kehlata Hai April 10, 2019 Written Update Full Episode: Will Naira and Kartik Discover that Samar Ditched Gayu at the Altar? Today’s episode of Yeh Rishta Kya Kehlata Hai starts with Suhasini trying to call Kartik (Mohsin Khan) and Naira (Shivangi Joshi) and wonders how is Naira and hopes that the insect was not too poisonous. Suhasini calls the driver to inquire about them and overhears Kartik’s voice who is telling Gayu that her reports are normal and that she should relax. Suhasini thinks why Gayu is seeing a doctor and what is the problem. There Devyani is telling Rama not to worry as Gayu is feeling better now. Just then Gayu comes in, Rama takes her in and asks what the doctor has said, she says everything is fine. Meanwhile, Devyani calls Naira and asks what has happened to Gayu and tells Naira to tell the truth as it should not be too late. Naira gets tensed and tells Kartik that Devyani doubts something is wrong. As Kartik and Naira come in the house, Purushottam asks how is Naira now, Kartik says she is fine now. They all discuss their business and how to make it a success. As Suhasini tells Surekha to inquire, what has happened and tell her to go to the hospital, Naira hears them. Suhasini seeing Naira come to her and ask how is she and what happened to Gayu, Naira says Gayu came just to be with her. Suhasini asks again what is going on, but Naira says nothing. Naira and Kartik call Gayu and Samar and tells that they should tell about the pregnancy to Suhasini. Gayu says is she mad and that when the elders of the family come to know they will be angry and will not accept the truth. Samar also says that it is their decision and they should not involve the family in this. But Naira says that they should tell Suhasini about this as she is having a doubt, so it is good that they should tell before she knows from others. They argue on this topic. Just then Suhasini comes there, Naira tells that she has called her here. Naira tells Suhasini the truth about Gayu, Samar also says that he has also agreed after knowing the truth. Suhasini does not say anything and goes from there. Surekha tells Kartik that Suhasini has gone to Naira’s house, they all follow her. When they all reach the house, they see that Suhasini is talking with the pandit and Rama, as what all rituals should be done for the marriage. Naira asks if she is angry with her, Suhasini tells that she will come for the marriage whether she is happy or not. Suhasini takes leave from there. Gayu cries and goes to her room, Samar tells to take care of her health. Gayu scolds Naira as why she told this all to Suhasini and that now she will ill treat Naira. Samar says that he will talk with Suhasini. There Suhasini is telling Manish and Akhilesh about the truth, Samar comes there and tells that he took the decision after thinking and that he used to like Gayu from before and tells that we should change and think positive. Suhasini is not ready to accept it. In the precap, Kartik and Naira announce that this marriage will not be done as Samar has run away from the house.